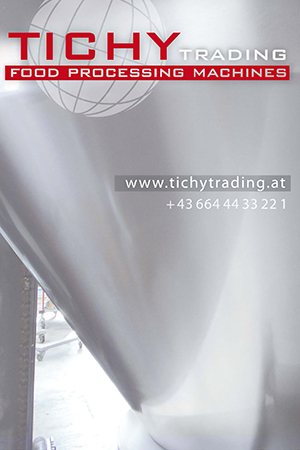 Food retailers in Austria, like in many other European countries, increasingly choose vacuum skin packaging. This technology can be found in a growing number of varieties across the retail shelves, owing to its obvious benefits: securely sealed under deep vacuum, food products have a significantly longer shelf life and can be presented in a much more attractive way. 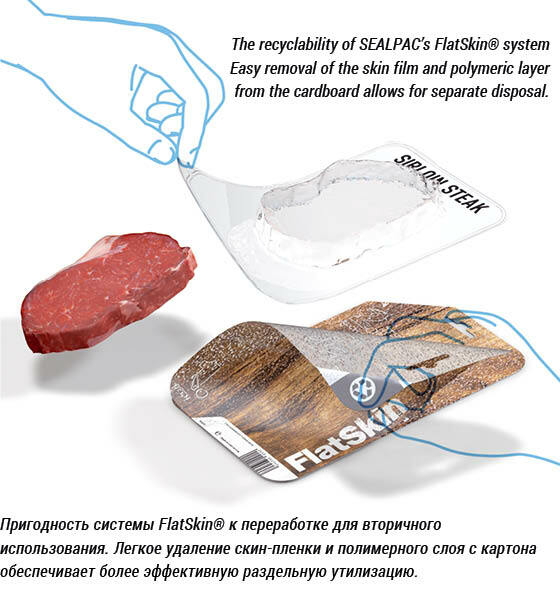 By introducing FlatSkin®, SEALPAC now offers a revolutionary skin packaging system to the market, which combines the renowned vacuum process with a plastic reduction of up to 75%. In Austria, several manufacturers are already offering their protein products in FlatSkin®packaging at retail. The FlatSkin® system, a joint development of SEALPAC (tray-sealing technology), VG Nicolaus (cardboard carrier) and Wentus (skin film), combines an attractive product presentation and extended shelf life with a highly sustainable use of packaging materials. Instead of common plastic skin trays, the FlatSkin® system uses cardboard carriers that allow for double-sided printing, hence offering optimal space for product information whilst providing unique branding opportunities. A highly transparent barrier skin film fixates the product directly onto the extremely flat cardboard carrier, which has been coated with a polymeric protective layer. This layer provides stability to the cardboard and forms a reliable barrier against grease, moisture and oxygen. FlatSkin® packs are perfectly suited to vertical presentation (e.g. hanging or standing), making them true eye-catchers at retail. In addition, the tight-fitting skin film provides an attractive 3D effect that highlights the product to the fullest. The FlatSkin® system uses cardboard carriers made from bleached or unbleached fibre, which can be printed on both sides by means of low-migration printing inks and varnishes. After taking out the product, the thin polymeric layer is easily removed from the cardboard to allow for separate disposal. As such, the FlatSkin® system achieves a plastic reduction of up to 75%, hence providing an answer to the food sector’s increasing demand for sustainability. FlatSkin® is suitable for a wide range of product segments, such as fresh meat, cheese, poultry and seafood. Since the spring of 2018, the company OSI Austria Foodworks has been successfully supplying all NETTO Marken-Discount stores in Germany with steaks packaged in FlatSkin®. The meat comes from OSI’s own facilities in UK and Austria, such as dry-aged steaks from Alpenrind in Salzburg. In addition, its range of steaks includes international specialties from Ireland, Australia and the US. Crucial to the decision to switch to FlatSkin®, next to the environmental benefits, has been the particularly strong product presentation and durable flatness of the cardboard carriers while being able to maintain the shelf life of its previous packaging. At Marcher Fleischwerke, FlatSkin® is applied for the premium steak range that it sells through internet (www.fleischwerkstatt.at). 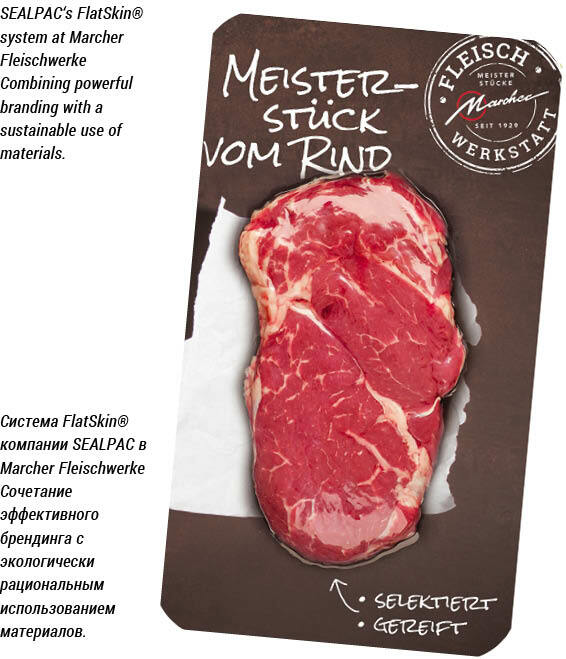 Furthermore, FlatSkin® packaging is used for steaks sold under the label „Zurück zum Ursprung“ („Back to the roots”) at HOFER retail stores in specific regions in Austria. With this brand, it is particularly important to offer a sustainable solution all the way from the raw ingredients to the final packaging, which is what FlatSkin® provides. Especially premium cuts of beef are presented at their best by using this vacuum skin technology. Previous Post: Meyn at IPPE 2019 – Let’s work! Next Post: Meat Markets Reached Their Climax. Pork Supply is 100%, While for the Poultry a Pullback is Expected Russian Meat Production Continued to Grow in 2018.